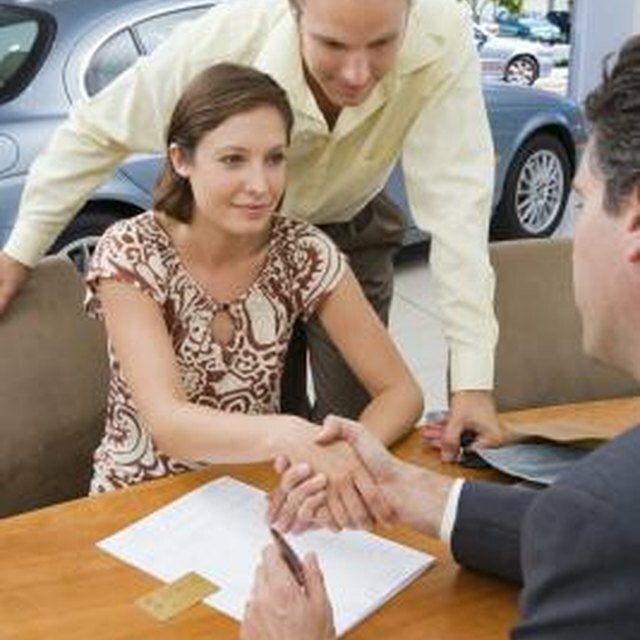 Terminating a car lease early may or may not impact your credit. Ultimately, it depends on the circumstances of the termination and the details of your contract. Some lenders are more willing to negotiate than others. With that in mind, it is in your best financial interest to broker a deal that protects your credit rating from damage. If you can’t afford your lease and you just stop paying on it, the car eventually will be repossessed by the lender, which will do major damage to your credit. Failure to pay your lease agreement is similar to defaulting on a car loan, which is one of the most serious credit blunders you can make. You can surrender the car to the lender before it gets repossessed. This helps you avoid repo fees, but you’ll still be responsible for the balance of your lease, plus an early termination fee as well as whatever other fees the lender tacks on in terms of excess wear-and-tear and mileage overage. If you can't pay that bill, the damage to your credit will be the same. You can terminate your lease early with no adverse impact to your credit if you get someone else to take over your payments. There are brokers who handle these exchanges, which typically involve a fee for conducting the transaction, but the move effectively will get you out of the lease with no damage to your credit. Another option is to give back the car, pay off the balance owed on the lease contract and get out of it, effectively settling your debt with no negative credit impact. While not the most financially practical way to get out of a lease, you can trade in your vehicle before the lease is up and roll the remainder of the lease balance into a new lease or a new car loan. You may be subject to early termination fees, and you’ll still be paying for the old lease through future payments. It can be a more cost-effective move if you’re downgrading to a less expensive or more fuel-efficient vehicle. This approach won’t harm your credit. If you’re stuck with a lease payment you can’t afford, chances are you aren’t in a financial position to buy another car and roll over your outstanding lease payments. In this scenario, if you can’t get anyone to take over your lease, it’s best to be up front with your lender and negotiate a credit-friendly agreement. Your lender may allow you to extend the terms of your lease and stretch out payments, making them more affordable. This will allow you more time to pay off the lease and have a positive notation in your credit file.